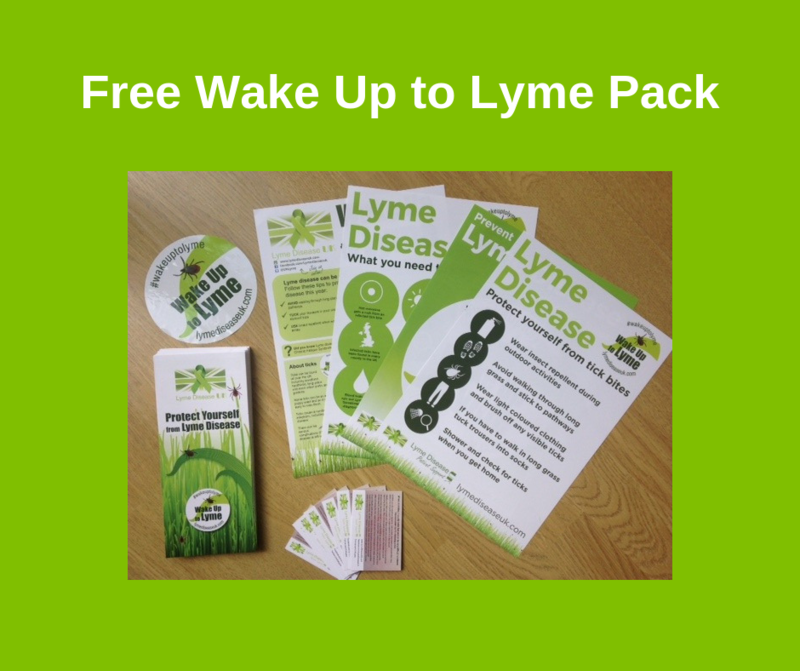 Pre-order your Wake Up To Lyme Awareness pack and take part in LDUK's nationwide awareness campaign this May. Pack includes posters, leaflets, a car sticker and tick awareness cards. Packs will be sent out in April 2019. You will also receive LDUK's free monthly newsletter by email which contains patient stories, news, fundraisers, events and more as well as updates! LDUK will use the information you provide on this form to send you the awareness materials you requested and LDUK's free monthly email newsletter and updates. Please confirm that this is acceptable to you. You can change your mind at any time by clicking the unsubscribe link in the footer of any email you receive from us, or by contacting us at admin@lymediseaseuk.com. We will treat your information with respect. For more information about our privacy practices please visit our website. By clicking below, you agree that we may process your information in accordance with these terms.